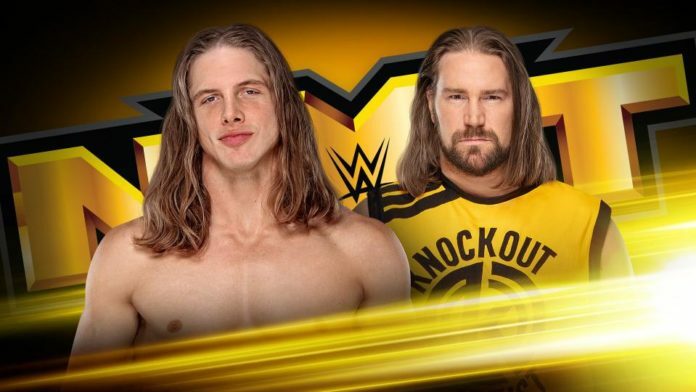 WWE will present a 2-hour NXT tonight featuring the best moments from 2018 as well as a big main event featuring Matt Riddle once again taking on Kassius Ohno. On 205 Live, qualifying matches for the Royal Rumble fatal 4-way cruiserweight title match will take place. Matt Riddle defeated Kassius Ohno at Takeover with just one clean shot. Ohno got some revenge on Riddle, however, by attacking him after he defeated Punishment Martinez in December. Tonight, Riddle and Ohno will go one-on-one once again. WWE is advertising that the 2018 NXT award nominees will be announced tonight. Those nominated and not nominated could lead to some future storylines as well. Other than the announcing of the 2018 award nominees and the rematch between Ohno and Riddle, the rest of tonight’s special two-hour episode will feature the best NXT had to offer over the last calendar year. Two cruiserweight matches will take place on 205 live tonight. Both will serve as qualifiers for the fatal four-way cruiserweight championship match scheduled for the Royal Rumble. In the first qualifying match tonight, former allies turned rivals will clash when Drew Gulak meets the Brian Kendrick. Lio Rush could be someone WWE has their eye on. He is regularly featured on Monday Night Raw as the hype man for Bobby Lashley. It’s possible WWE sees him as a potential star in the making on 205 Live as well. Rush can book his ticket to the Royal Rumble with a win over former cruiserweight champion, Kalisto, tonight.